My multi-talented friend, Earle Sebastian, is the Creative Director for Keep A Child Alive and their Annual Black Ball fundraising event. Keep A Child Alive aims to provide life-saving treatment for children and families living with HIV/AIDS in Africa. It is, of course, spearheaded by Alicia Keys. In addition to being the Director behind Alicia Keys' Alicia In Africa documentary, I must add Chief Production Designer to his long list of his job descriptions. 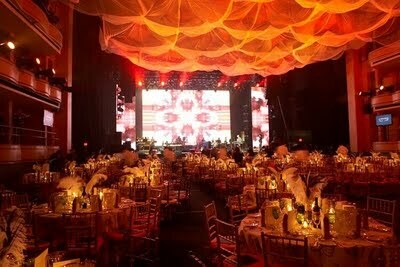 I loved what he did with this year's 6th annual Black Ball fundraising event. 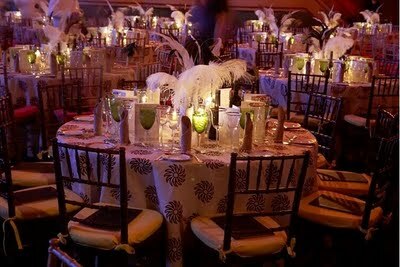 The theme celebrated a modern day Africa. He told me about the idea of a tent in African culture. It is traditionally used for gatherings such as feasts, musical events and weddings. In addition to bring people together, tents also represent shelter from heat, pests or severe weather. To carry this idea through, he used enormous mosquito nets to decorate the ceiling. It had a beautiful effect, imparting diffused light onto the space. 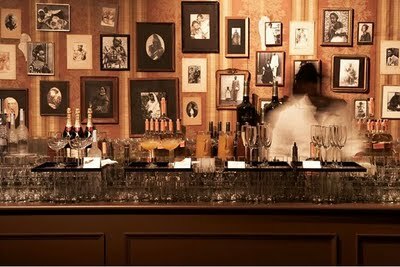 Lining the wall behind the bar were numerous vintage photographs (mostly sourced from France) in various mismatched frames. The tables were set with mismatched plates to evoke the feel of a colonial home. 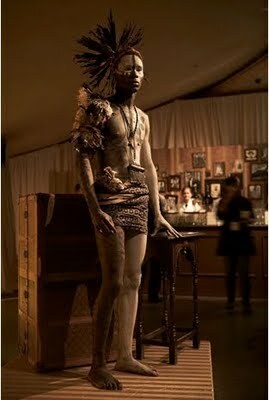 During the cocktail hour, models (as in live human beings) completely dressed in traditional African tribal garb and makeup walked among the crowd. Beautiful framed photos of the same models decorated the space as well. This type of event design would be so amazing and fun to take part in. What a great creative project it must have been to put together and a fabulous event to attend!